We do the above for our video clients. In addition, we use the content of the video interview to create a case study or success story. That longer format allows us to tell a more complete customer story. The quotes from that document are then pulled to be used as independent assets in marketing campaigns, on the web, even all over the walls at customer events. A single interview should result in many deliverables, of different formats, with different uses. It’s a great way to get huge value from a single interview and have your customers really shine. Any additional ways you use customer video content? Please share. As we have been heard to say at Referential, customer advocacy professionals don’t just grow on trees! It’s a specialized skill set requiring a keen understanding of frameworks and methodologies. Referential offers a tiered education program designed for advocacy practitioners at any stage of their career. Do you need to study the fundamentals of advocacy program design? We have a course for you. Want to master proven strategies for engaging customers or investigate both established and emerging methods of asset creation and metric reporting? There is training for that as well. Our education program provides in-depth training across the full breadth of skills and experience necessary for advocacy practitioners to thrive in any industry. 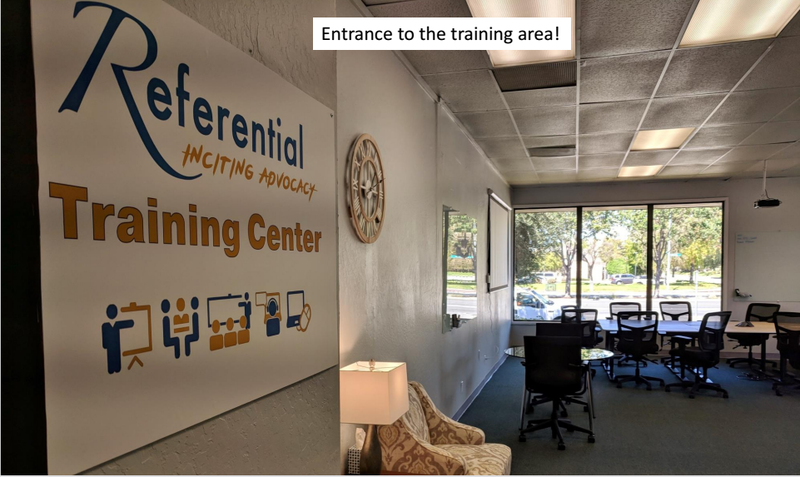 Referential training is tiered to support the Institute of Certified Customer Advocacy Professionals (ICCAP) three levels of certification. In addition to our classes, training can be customized to meet individual needs or interest in specific topics. See our training page for more information about the content and intended audience of each training offering or contact us to discuss customized options. We're here to help you polish your skills and excel at advocacy! Nominating customers for awards - everyone wins especially when Referential writes the nomination! One of the most gratifying activities we get involved with is creating a successful award nomination – nothing beats seeing the look on a client’s face when they learn that they just won a major award! We collaborate with our clients to target specific industry awards for the coming year and then work with account teams to identify noteworthy candidates; either individuals, teams, or whole companies. We typically then do a short interview with the lead nominee and put together a submission for the individual award. Then it’s out of our hands! We have a stellar track-record for nominations that get picked as winners and category finalists. 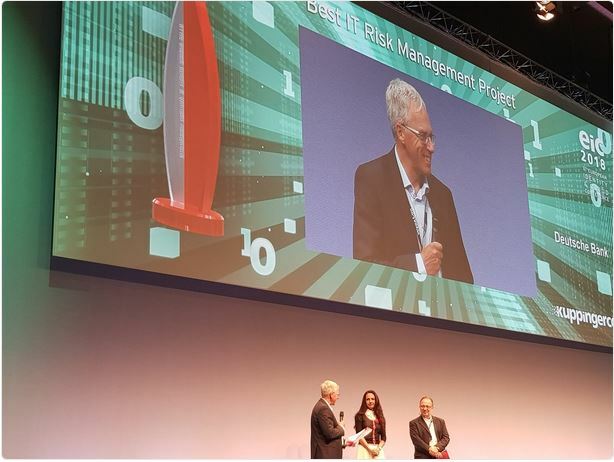 We are very proud to have Deutsche Bank win a very prestigious award for an IT Risk Management project at a ceremony just held in Munich – the recipient notified us from the banquet hall floor! See their photo below. We also were delighted to hear that Johnson & Johnson received one of the top prizes at the latest Dell annual conference. However, not all our submissions are for large corporations: We championed a regional consumer services provider and were equally excited to be notified that they will be presented with the “Best in Class Contact Center” honor at a major industry event to be held in June in the US. All three happened in the last month and all were nominations written by our mangeing partner, David Feber. Irrespective of the ultimate outcome, we repeatedly see major returns from even just submitting a client for an award – all too often people don’t get positive feedback, so being nominated is understandably viewed as being a huge deal! We’ve found that for a modest amount of work, the payback is dramatic and the sense of goodwill lasts for a long time – we highly recommend it! Longer attention span: your target audience or a goldfish? Longer attention span: your target audience or a goldfish? Hard to believe but the average person’s attention span is now shorter than that of a goldfish! An article in Time Health quotes a Microsoft study which shows a human will pay attention for 8 seconds and a goldfish for 9! Our digital lifestyle may make us better multitaskers but we’re also easily distracted. There is a lot of content out there, coupled with short attention spans, it’s not easy to stand out from the crowd. This post from RO Innovation makes the case that video can be the way to go instead of the case study format. Our brains actually process video faster than text. Think about how video might work for you as you share stories of your customers and your brand. Our clients have a clear need for written content but we’re seeing an increase in the desire for video. Often times our interviews will become both short and compelling video pieces and a complimentary case study with greater detail. We’re about to send a team to Australia for a second time this year to create video and written case studies for our clients. There are a lot of interesting customer stories among Australian businesses! Whether your customer is in Australia or right next door, think about the format which will tell their story best. Do you localize content? Some of our clients do. We’re involved as we have on staff native speakers of several languages and are able to localize, not just translate. A recent study from the CMO Council surveyed marketers for information about the state of localization in their company and is summarized in this article on MarTech Today by Amy Gesenhues. A full 75% of CMOs invest less than 10% of their budgets for localization and, regardless of spend, a large majority are unhappy with the results. Of the total surveyed only about one third felt they were doing well or were very advanced in this area. The report address the broad issues of localization, it’s certainly not language alone. For international content one must address everything from number, currency and date formats to colors and visual images plus so much more. Even strictly within US borders localization efforts are also applied to content due to large differences across the population. it is important to change your content to best meet the needs of various locales. Localization is a complicated area! Get the full report here for insights on marketers views about localization efforts and see how your company compares. Belgium - be there soon! Two of the team are headed to Belgium. After a grueling day of travel, which includes a quick stop in Iceland and a multi hour drive, they will arrive in Belgium. 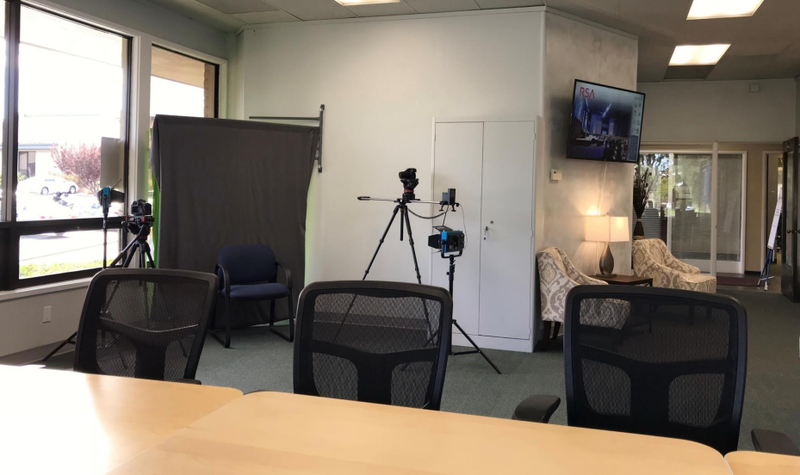 One of our clients has customers there and wants interviews and video which we’ll turn into video testimonials, quotes, case studies and more. The team is taking what looks like thousands of pounds of camera and lighting equipment, plus all their personal items, carefully packed into many rolling, hard sided suitcases and two backpacks. Their time in Belgium is completely booked, and short, as they return to the US late Friday. While they likely will have no time for sightseeing we have been lobbying that they return with Belgian chocolates for the office! Referential: Influitive's First Certified Partner! We just got the official word that we are Influitive‘s first Certified Partner! Just in case you haven't heard of them, the Influitive platform provides companies with the ability to create communities of advocates and really leverage all the goodwill that their advocates have generated. Getting certified required the successful completion, by more than one of the Referential team, of a series of online and classroom training sessions, field training, and passing a final oral exam to demonstrate that we have the necessary skills and knowledge to represent Influitive to customers. Influitive was created by the founder of Eloqua (since bought by Oracle for almost $1 billion) and is attracting a lot of attention in the marketplace. We've watched the platform evolve and mature over the last three years and definitely feel that the time is right to participate in what we think will be a game changer in our industry. One of the great things for us is that the AdvocateHub, as it's known, is a logical extension of everything we've been doing over the last 20+ years in the reference/advocacy space - it just makes things so much easier! Influitive has offices around the globe and we’re really proud to be the first Certified Partner in the world! English, French, German, Spanish, and Japanese. We just finished program documentation for one of our clients in all of those languages. Language expertise has been a priority for our recent hires and they’re busy translating program documentation, speaking with our clients’ sales reps in local language, and working directly with their end customers. We prioritized languages after discussions with our clients and analysis of their customer base. Our hires are a mix of native speakers and folks who learned primarily in school, but who coupled that book learning with significant time abroad. We have found that even native speakers don’t necessarily know the complete suite of business terms we need but that’s been fairly easy to address. We have our next priority languages set and are actively recruiting now. Our languages list will be longer shortly! We’re helping one of our clients plan a select customer appreciation event to be held at their annual user group conference. As with many large conferences the event is in Las Vegas. Couldn’t be easier to work with the people from the hotel, as we change details they’re very flexible and send new quotes almost immediately. It’s a late afternoon/early evening reception with appetizers, should we have 3 or 4? Hard to believe all the decisions that went into the final table and chair layout! And our RSVP list keeps growing, nearly every single person invited is attending. Even for a 90 minute event project management comes in handy. We’ve been tracking all the issues associated with customer and internal employee invitations and RSVPs; ordering and shipment of awards that will be presented; not to mention all the decisions necessary for food, drink, and entertainment. Everything’s in one spreadsheet stored at a shared location This has been a real necessity as the key decision makers are scattered in multiple states. Putting some structure around this has made it easier for all involved. At any time we can all check the current status of issues and action items. For even a smallish project, when key players are all remote from each other, what works best for you? We received notification that LinkedIn is removing the Products & Services tab from company pages. Oddly the notification was mailed on April Fool’s Day. As of April 14 the feature will be removed. LinkedIn offered to send recommendations from the page, which we requested. The customer support team responded very quickly. The recommendations are really valuable so we’re glad to still have that information. The notification when on to explain options for the future – updates or Showcase Pages. While we were users of the Products & Services tab we’re likely to redesign our home page and use updates rather than embarking on Showcase Pages. What is your company’s response to this change? Think this will make things easier for LinkedIn in members as they profess? Easier for you? Earlier this week we participated in the Boulder Logic Customer Day 2013. 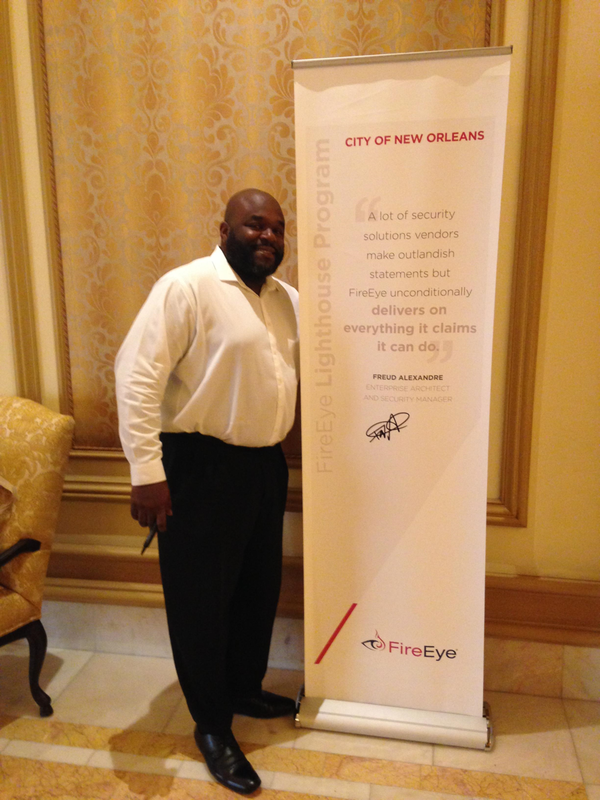 It was a great opportunity to meet with others in the industry. We were asked to present so Helen led a session on reporting and ROI measurement representing one of our clients, Infor. Metrics is one of our key areas of expertise, we've done extensive work in that area and have targeted service offerings. Many topics were covered over the course of the day and it was great to discuss and learn from each other; Jack from Kronos was bursting with ideas! Thanks to Boulder Logic for organizing it and to Marketo for hosting the event.